We’re back with an excellent Blogger’s Favorites list this week. I am completely smitten with Jane from Simple + Pretty. Her blog is pretty much perfection…she has an amazing eye, impeccable taste and is, well, incredibly nice. Really what better combination is there? 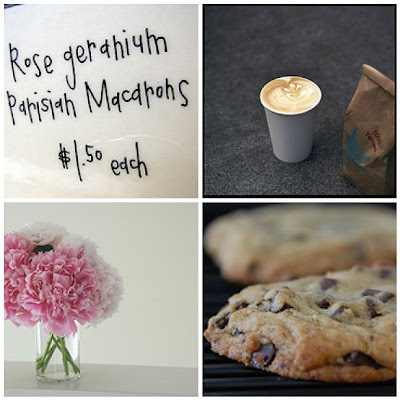 So, without further ado, herewith Jane’s favorites. Have a splendid week-end! p.s. I have something new to share with you next week! Thanks, Joslyn, for including me in the Blogger’s Favorites series! I’m always curious to learn a bit more about my favorite bloggers. I just had no idea how hard it would be to come up with my list of favorites. Le Labo Rose 31: I’ve worn other fragrances from Le Labo, but this recent discovery (thanks to Domino Magazine) is my favorite. It smells fabulous and I get so many compliments. (always a good thing with fragrance) I wear it every single day. I’m also smitten with their Musc 25 which is exclusive to the LA store, but I didn’t buy it when I had the chance. Ah, regrets. Chocolate chip cookies: I have a well-documented bakery problem, and chocolate chip cookies are my fallback indulgence. Baking them is fun but then I have 2-3 dozen staring me down all at once. Too much temptation. 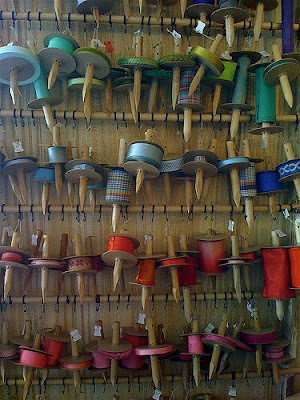 Ribbon: I could study the ribbons at Bell’occhio forever. Love the variety and color selection. Grosgrain and double-faced satin are my favorites. Cute flats: cannot pass them up. Comfy + stylish = love. Black ballet flats, bejeweled flats, Lanvin flats ($$$). Love them all. Rae Dunn’s Friday Field Trip from the Sketchbook: I adore Rae Dunn’s illustrations. Her sketchbook drawings are so sweet + they’re always a nice surprise in my Google reader. iPhone: I’ve had my iPhone since the very first day they were available, and I love that I can access email/Flickr/Twitter/Red Sox scores whenever I want. Funny thing is, I rarely use it as a phone. Oh well. The Internet: Kind of a broad category, right? But here’s the thing: how else would I learn about the awesomeness out in the world, whether it’s finding a cute cupcake shop in London (odd example but I just did that. Check out violetcakes.com) or checking in with my favorite bloggers or seeing beautiful photography at Flickr or finding unique handmade goods at Etsy (and the list goes on)! The ability to connect with people from all over the world while I sit in my Illinois kitchen is at once humbling and inspiring. thanks, joslyn! it was so much fun putting this together + even better to have been asked. Wonderful! I'm going to check out that scent. lovely! i love these sneak peeks! 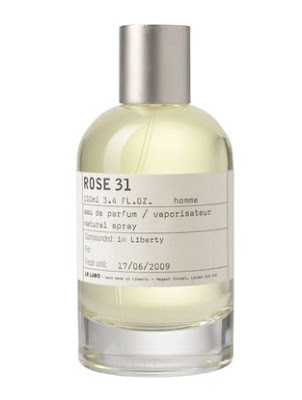 I'm seriously in love with the labels on the "Le Labo Rose 31" bottle! WOnderful! Such terrific faves and what a lovely gal! I adore this series and love every time there is a new one! Thanks ladies! Great post! Have you tried Le Labo's Poivre 23? It's the scent exclusive to London, but I snagged a sample. 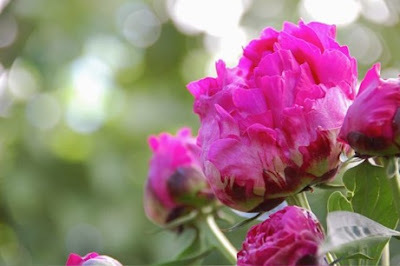 It's a peppery rose that is so interesting and complex and whenever I wear it, I feel compelled to sniff my wrists all day. Since I live in LA, I really should try the rose scent! Oh gosh, I'd die in Bell’occhio! That's exactly the kind of thing that would give me a nervous laugh just before I blackout and spend more money than I have! of course, i love all of jane's picks. loved reading more about her. thanks for sharing! I just adore her list. Chocolate chip cookies are such a weakness of mine. I've been looking for a new perfume....i will check this one out. I am also looking at ACCA KAPPA..white moss...i have their lotions and they smell so amazing!